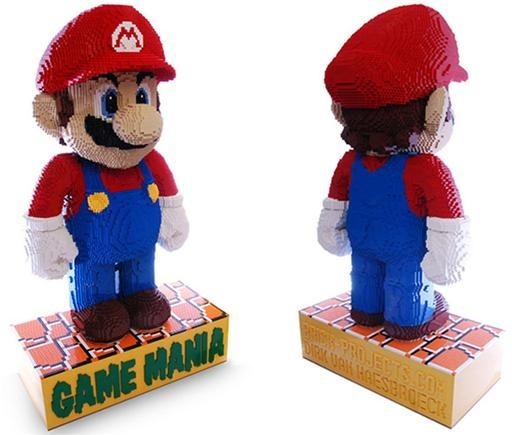 To Mario enthusiasts everywhere: Mario mania has been lovingly expressed all over the web for some time now (including How-To). 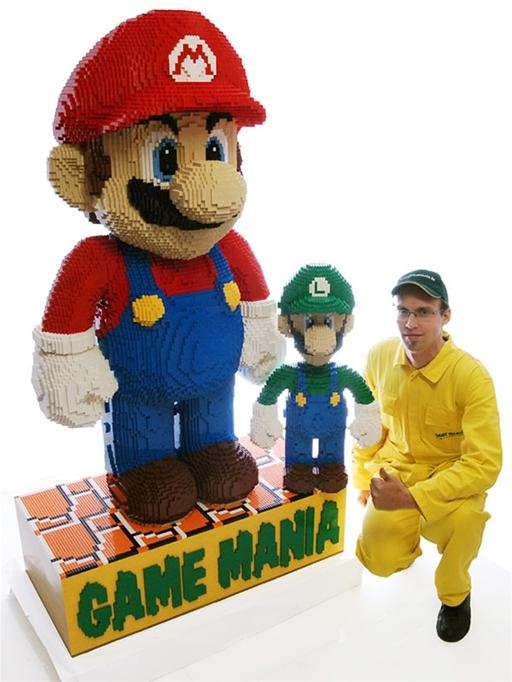 The most recent accomplishment brings together two classic favorites: Mario plus LEGOs. 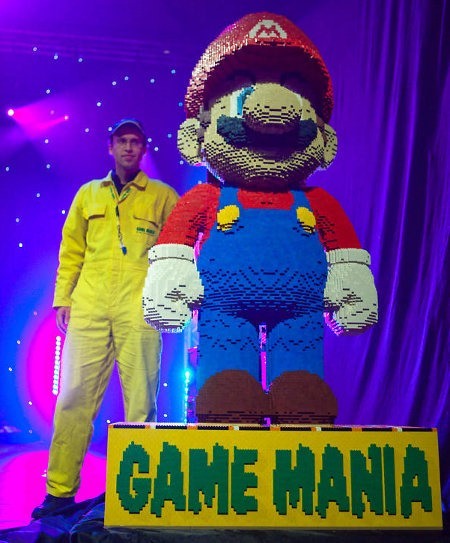 Game Mania Started the build of this statue with aid of a professional Lego builder 2 weeks before officially revealing it at the LEGO WORLD fair 22nd October 2009. 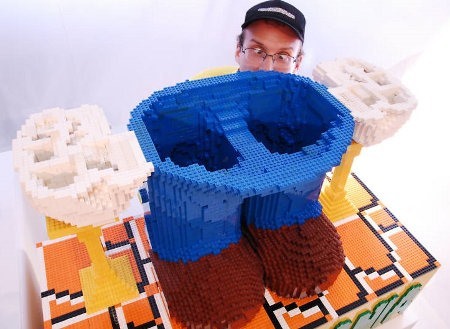 This statue measures 70.87 inch (5.9 ft / 180 cm), contains more than 40.000 Lego bricks and weights over 110 lb (50 kg). Profit will be donated to charity: The Ronald McDonald House Charity in The Netherlands." Build your own Nintendo themed LEGOs. Previously, Ghetto Fabulous Mario Super Mario Manicure.